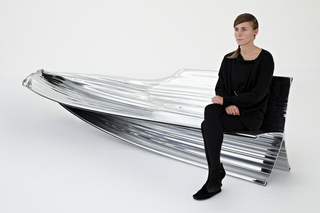 See more objects with the tag interior, furniture, twisted, curved, rectilinear, geometry. See more objects with the color chocolate peru saddlebrown burlywood black or see all the colors for this object. This is a Twisted Cabinet. 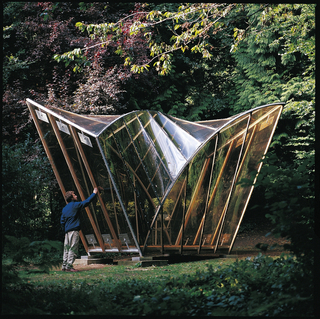 It was designed by Heatherwick Studio and Thomas Heatherwick and manufactured by Benchmark Furniture. It is dated 1994–2004. Its medium is oak. 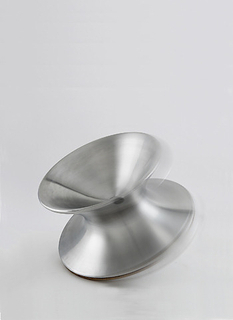 How can a test piece lead to the design of a piece of furniture? 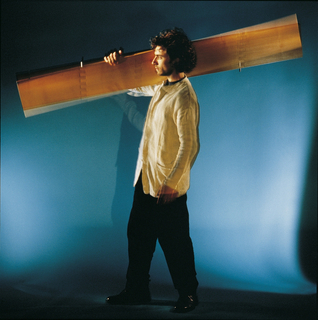 Thomas Heatherwick spent time as a student carving wood on a tool called a bobbin sander. 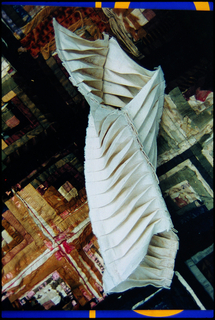 While using a rigorous geometry of straight lines, he found himself making forms with twisted surfaces. 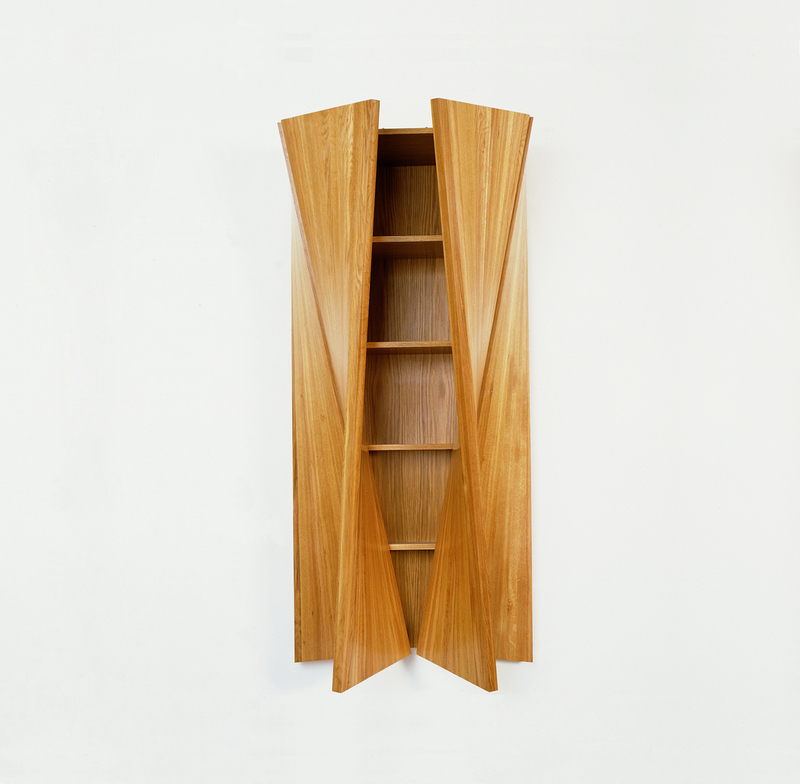 Having made other versions that twisted in the opposite direction, he combined four of these pieces to make a cabinet with schizophrenic doors: when they are opened halfway, the bottoms of the doors look as if they are nearly open, while the tops look almost closed. Heatherwick made the first cabinet himself by hand from oak and the complex piece is now produced by Benchmark.